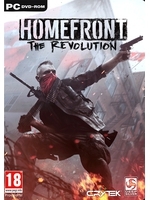 Homefront: The Revolution will be out soon, and despite some effective gameplay mechanics and some nice ideas, we cannot recommend it to you guys. 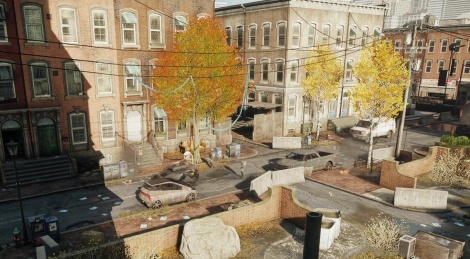 The main (but not only) problem is the game's performance, whether on PC or consoles. We were hoping for a patch at the end of last week, or at least early this week, so we waited until yesterday evening to capture some footage on our rig (i7 6700K @ 4.5 GHz, 16 Go RAM/DDR4, Windows 10, SLI Nvidia Geforce GTX 970 Gigabyte OC) but it hasn't come yet. With most settings set to low, the game cannot hold a steady 60 fps framerate (actually setting everything to low makes little to no difference sadly), and as you can imagine, framerate is even more all over the place with very high settings or if you're playing on consoles. Hopefully, a patch will come out soon to address these issues, but until then, be warned that the lack of optimization is very damaging to the overall experience. It was clear already from the trailers, how poorly optimized the game was. I also wrote in the comment sections of the older videos....why, everytime somebody uses cryengine, the game ends up in a complete mess? Only with crytek (but not really perfectly smooth) games made with cryengine had no problems. Other only game that had no problems running smooth is 'rolling sun', nice little casual game that I recommend :P .... the rest, sniper ghost warrior, lichdom battlemage, and all the others were always a glitchy mess. For the same reasons, I don't have high hopes for Kingdom come: deliverance.